Come see the most beautiful sunsets you will ever see! 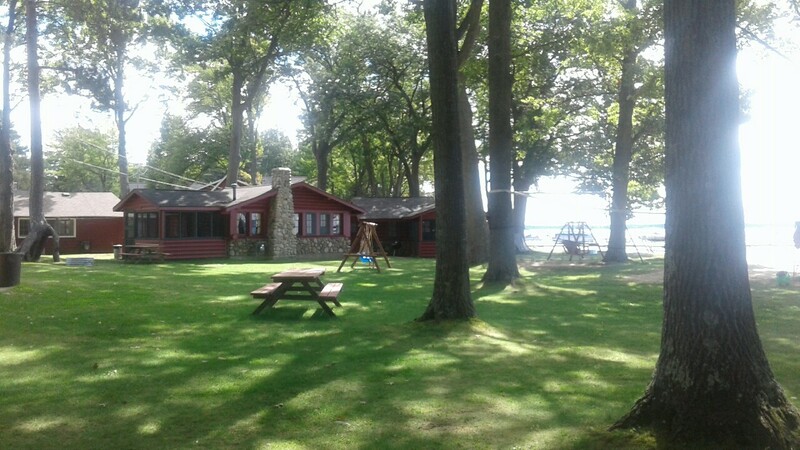 All cabins are unique providing a rustic ambiance with modern amenities. 4 of our 8 cabins have sleeping lofts all 8 cabins have fireplaces. 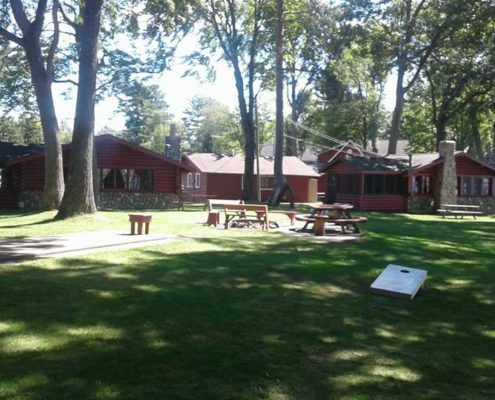 All cabins have 2 bedrooms and accommodate 6 people. 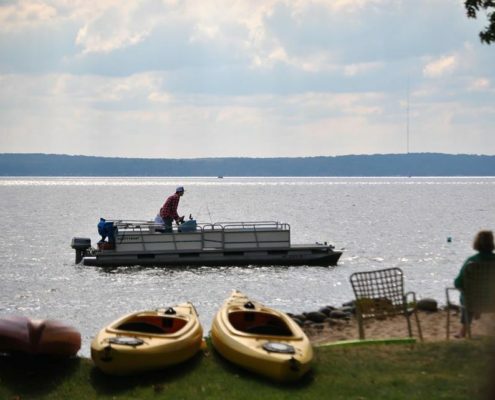 Fought’s Resort boasts 330ft on beautiful Houghton Lake with easy access to the lake for snowmobiles and ATV’s. Fought’s Resort is a four seasons resort. Our Season doesn’t end at Labor Day! 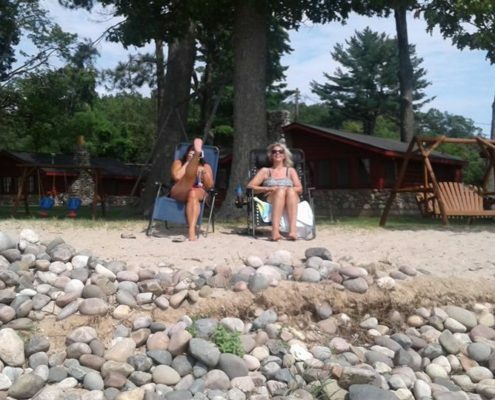 Our cabins are available for rent year round!!! 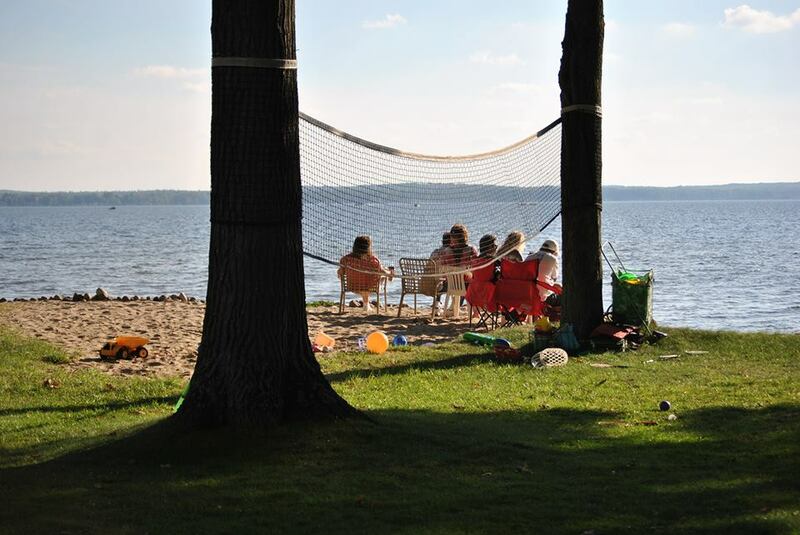 Excellent destination for a family vacation or weekend getaway! 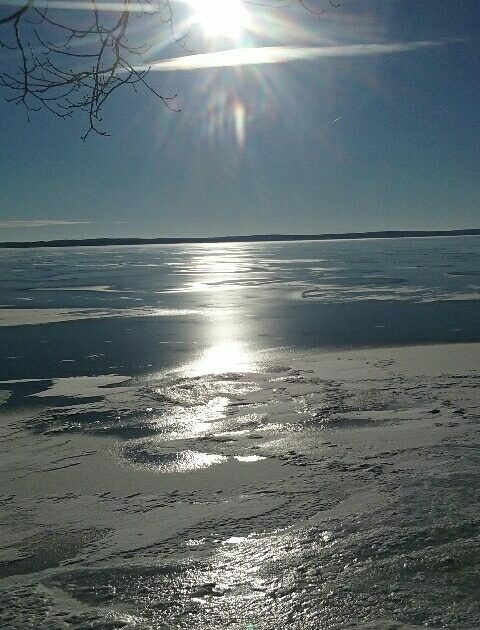 located in beautiful Houghton Lake Michigan! 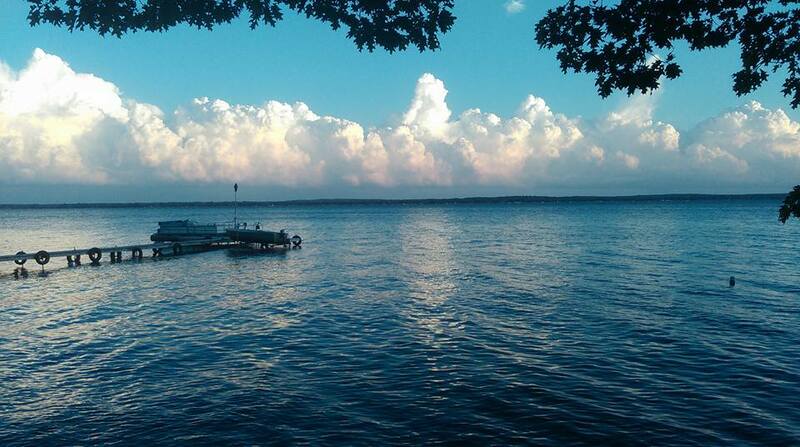 Boasting over 22,000 acres of water Houghton Lake is the largest inland lake in Michigan. 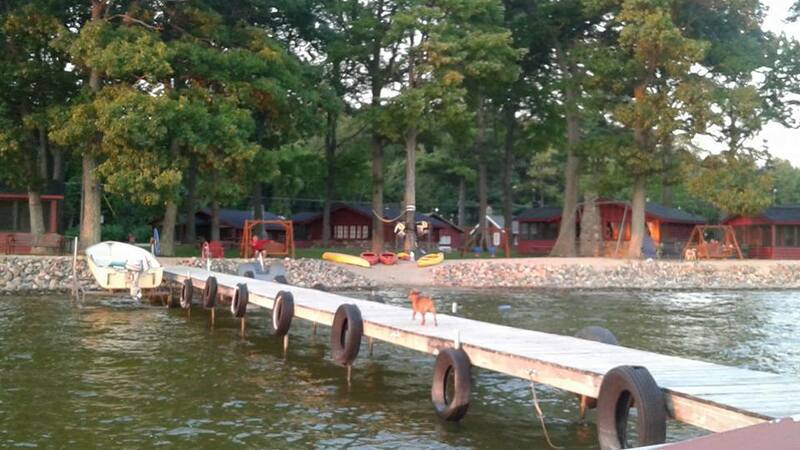 Established in 1947, we offer six log cabins and two wood frame cabins on a tranquil lake front setting. 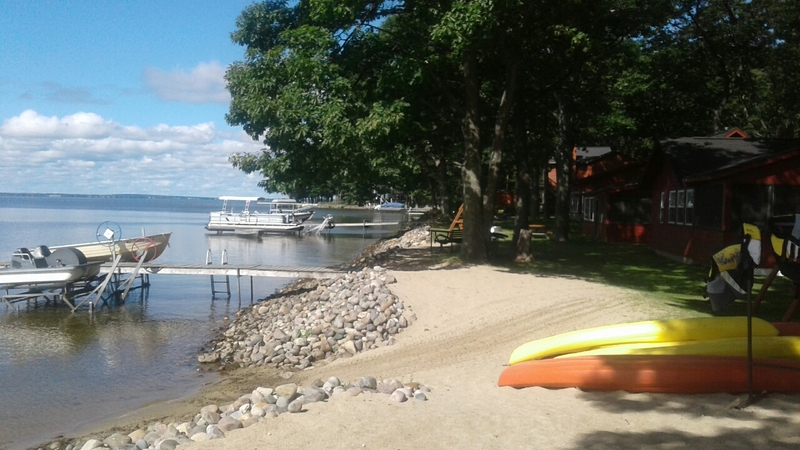 Fought’s Resort offers one of the largest lake frontages of any resort on Houghton Lake with 330’ft of frontage, including sandy beach and a ‘T’ shaped easy access dock. 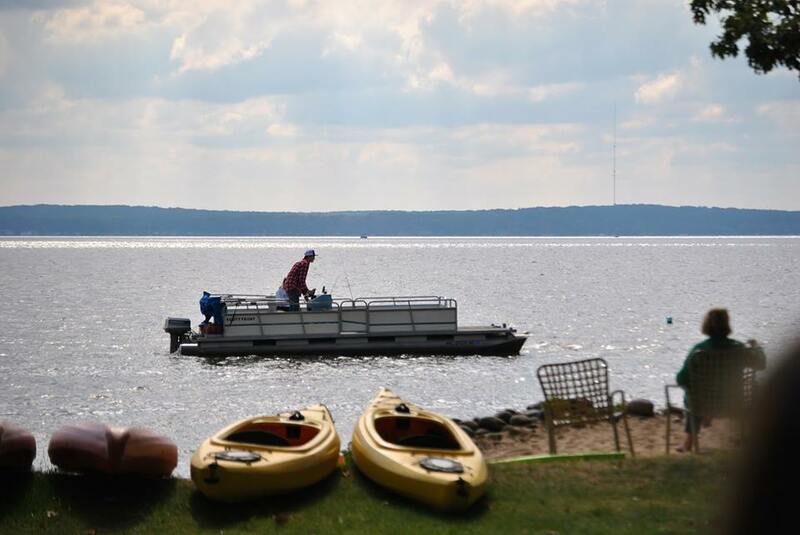 Adjacent to the dock, Fough’ts Resort offers anchors for personal watercraft and boat rentals. All cabins are unique providing a rustic ambiance with modern kitchens, flat screen TV’s, WiFi, charcoal grills and screened porches. 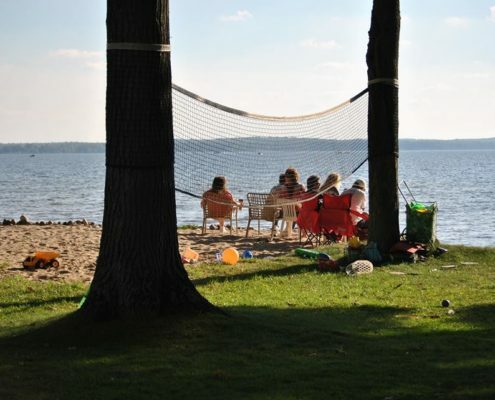 Fought’s Resort offers its guests a spacious play area including swing sets, a basket ball court, shuffleboard court, volleyball, fire-pit, paddle boats and kayaks, to enjoy your vacation! 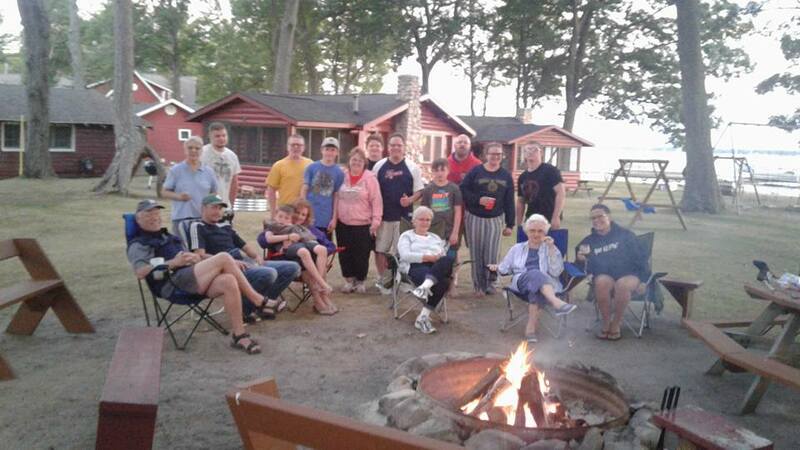 Your hosts, Rick and Nancy invite you to create wonderful memories with your friends and family at Fought’s Resort located in Houghton Lake Michigan. 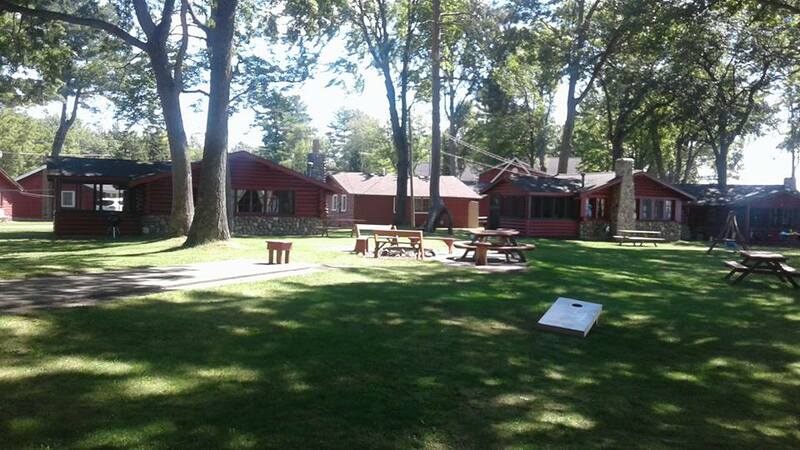 Fought’s Resort is an excellent destination for a family vacation or weekend getaway! We offer a total of eight cabins: six log and two wood frame. 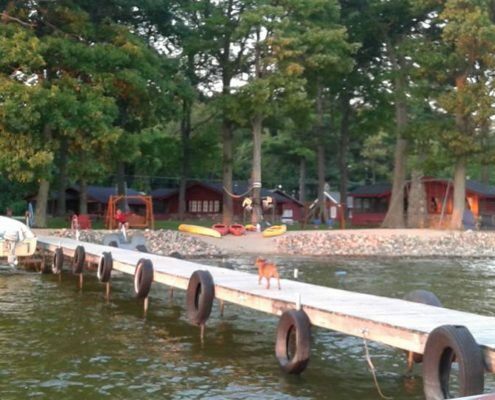 All cabins have a full kitchen, two private bedrooms, a sofa bed, and bathroom with shower. Four of the eight cabins also offer sleeping lofts. 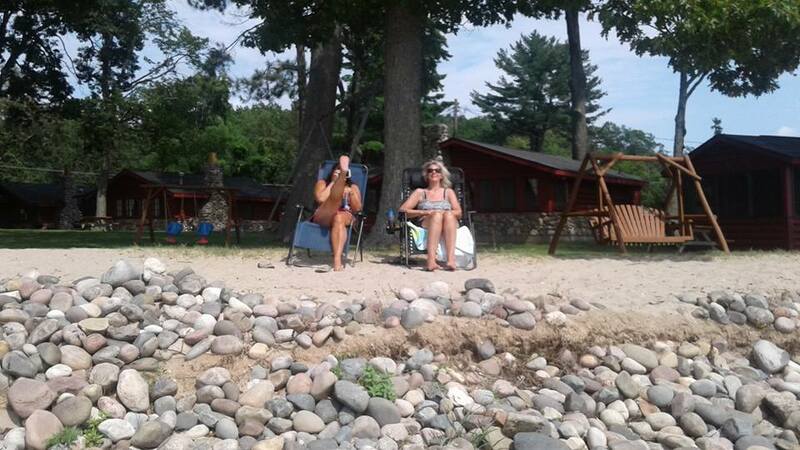 Each cabin offers screened porches with resin table with four chairs, picnic table and charcoal grill. There is ample parking for cars and trailers. 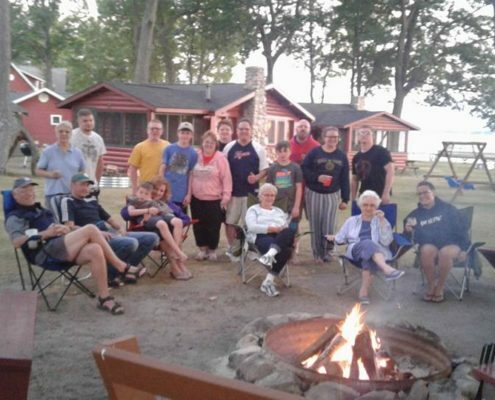 Come and enjoy our unique cabins with your family and friends!